Our sign chart shows all standard street signs that we offer. To view a larger chart, just click on it to view a larger version. Don’t see what you need? 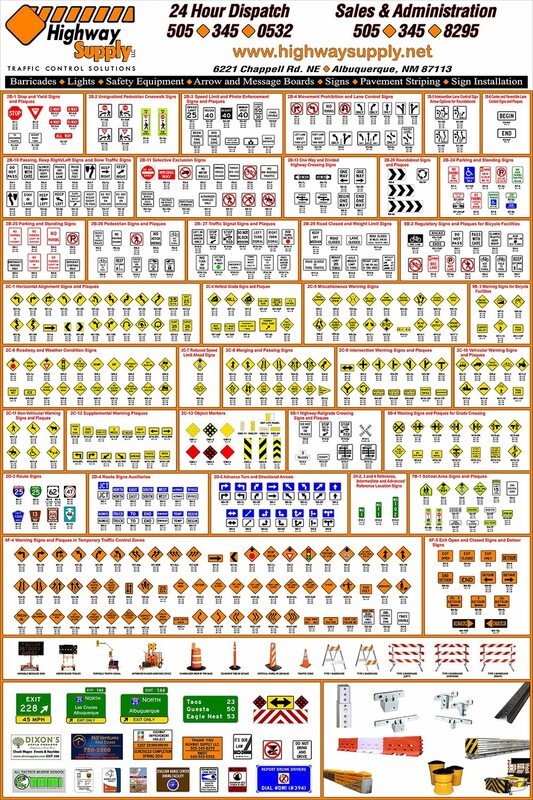 In addition to the examples above, we provide all standard highway signs, a complete list can be found at the USDOT website: Federal Highway Signs. We also manufacture customs signs. In addition to standard highway signs, we can custom print signs with your image. Our custom sign capabilities range from small to large, simple to complex. We also offer different options for both sheeting and substrate. To view the U.S. DOT Federal Highway Administration’s Sheeting guidelines and descriptions click here.